Have you ever read the book Something from Nothing, by Phoebe Gilman? It is a wonderful story, with a sewing theme, of sewing/creating something beautiful over and over again. My fervent hope is that the 4-H sewing camp participants feel the same way about all of their creations generated during sewing camp! 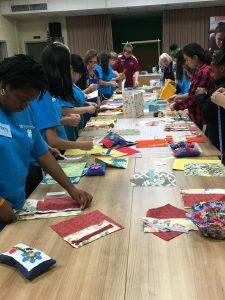 Recently, the Tallahassee Chapter of the American Sewing Guild (ASG, part of a national, non-profit organization dedicated to the art and love of sewing) generously volunteered their time, talent, and supplies to enrich the experience of every 4-H sewing camp participant. The ASG philosophy, coupled with the 4-H history of helping youth “learn by doing” is a good fit. Both organizations focus on teaching new topics and life skills development through experiences thus enhancing self-confidence through skill building. In today’s world, sewing is seemingly no longer a necessity. Sewing can even be expensive! But, can we put a price on self-confidence or creativity, sustainability or even a life skill? Finger dexterity and the development of fine motor skills. Systematic following of directions – both verbal and written. Vocabulary as well as techniques. Pride in accomplishment for a job well done! Learned first-hand about fibers (science). Experienced technology using various sewing machines and equipment – some even computer driven. Became adept at trouble shooting their own machine repair (engineering). Utilized practical applications of many mathematical concepts to measure and sew as well as critical thinking and problem solving. The 4-H Club pledge says, “I pledge … My Head to clearer thinking, My Heart to greater loyalty, My Hands to larger service and My Health to better living for my club, my community, my country, and my world”. 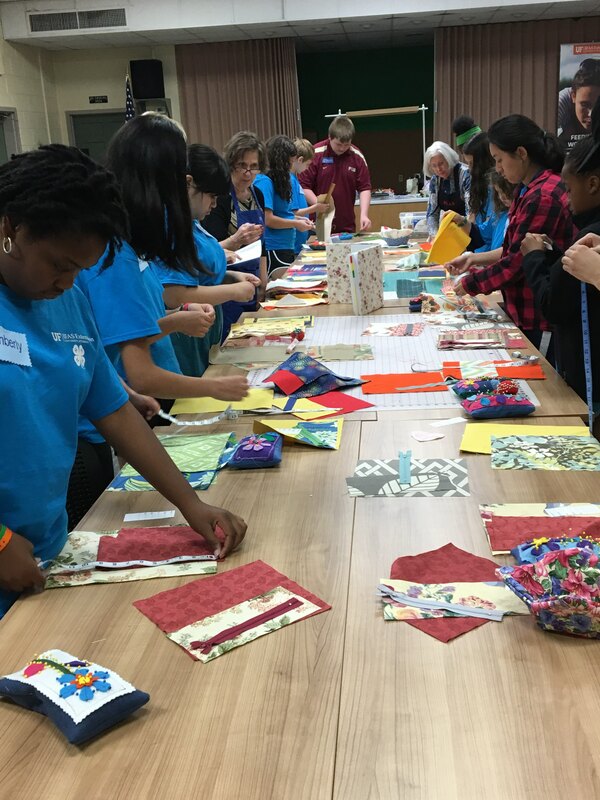 ALL of the campers contributed to a community service project sewing a pillowcase destined for the Early Learning Coalition of the Big Bend Read a Child to Sleep campaign. This fostered the idea that empathy, sharing, nurturing relationships and giving is important too. Sewing certainly did not stop when camp ended. A budding entrepreneur posted on Facebook she is taking orders for her creations while another camper is helping a local theatre group fashion costumes to obtain her community service hours fulfilling a high school graduation requirement. There is no better feeling than the pride of accomplishment. Sewing campers learned by doing and while they were at it learned a skills they will carry throughout life. If you are interested in learning more about 4-H, go to florida4h.org. For nearly 40 years, National Grandparents Day has been celebrated as an opportunity to express gratitude for all that grandparents do for families and communities. According to the U.S. Census Bureau Profile, America Facts for Features, in 1970, Marian McQuade initiated a campaign to establish a day to honor grandparents. In 1978, President Jimmy Carter signed a federal proclamation, declaring the first Sunday after Labor Day to be National Grandparents Day. 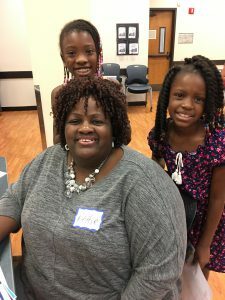 Across the U.S., not only are grandparents appreciated for sharing their time, wisdom, and values, but they are currently stepping up to raise over 7.2 million children under the age of 18 whose biological parents are unable to do so, thus keeping the children out of the foster care system. In Florida, 11% of children live in homes where householders are grandparents or other relatives. The reasons as to why so many grandparents are raising grandchildren are many and varied. Nationally, substance abuse causes more than one third of this type of placement. Nevertheless, because of a grandparent’s selfless devotion and generosity to the needs of others, grandparents are, in fact, owed a great deal of thanks for their altruism. Take a moment today and every day to give thanks and appreciation for the thousands of grandparents in our community and around the country for the service they do for children. One thing is for certain: grandparents are more valuable to their grandchildren and communities than ever. Grandparents are indispensable and important people. Want more information about supporting GaP or do you need support yourself? Contact Karen Boebinger, GaP Program Coordinator, at 850-891-4027 or karen.boebinger@talgov.com. 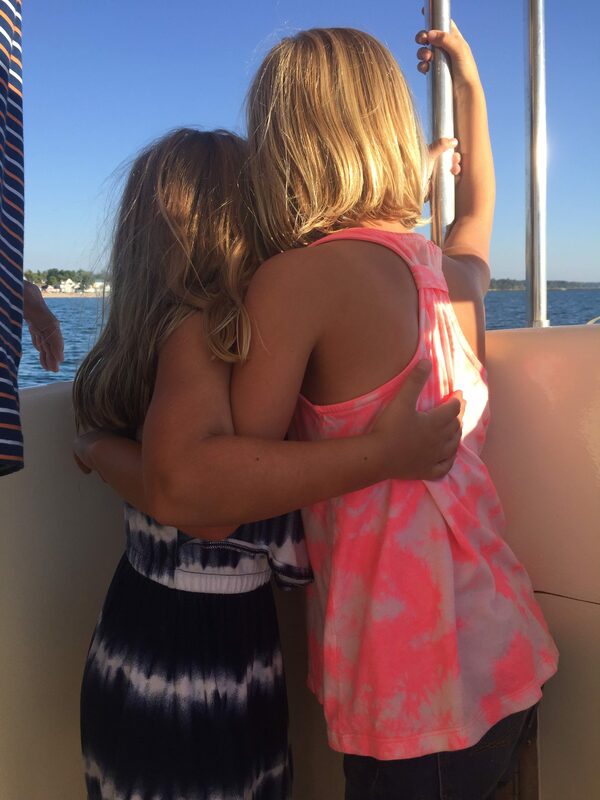 Family rituals and traditions, like family vacations, make lasting memories. Finding effective discipline techniques and sticking to them also is a challenge. Children need consistency. I have found that focusing on good behavior and having clear, consistent rules makes life much more peaceful. Now that my child is in school, we use a simple chart with just two or three items and use colored dots, similar to what my daughter is used to in school. This keeps it consistent and focused on the positive behaviors I want to see. My daughter is excited to earn privileges and the reward of good behavior dots or stickers. Our UF/IFAS Extension site has some great ideas for discipline too. Find them here: discipline resources. Children need routines. I think adults do, too. Having a routine and sticking to it helps children know what to expect. Those family rituals and traditions are just as important for building family stability and a sense of belonging. They make for great family memories! Don’t forget to make time for bedtime stories, making cookies, or for family celebrations, like Mother’s Day. I am not an expert at parenting. I have made mistakes, some big, some little. When I do need expert advice, I go back to what I have learned from my work in Extension. Extension has all the research-based information you can trust on parenting and a variety of other topics. Check it out: edis.ifas.ufl.edu. Many of us can agree, being around family can make simple things in life more special! Whether it’s time spent together during holidays, celebrating birthdays, or simply enjoying togetherness, family events can make life memorable. Why wait until special occasions to show your family that they matter? Dining together can make simple things feel special every day! Dining in with your family is one of the easiest ways to incorporate spending quality time together… on a daily basis. Knowing that schedules can make this task very difficult to implement but understanding the benefits will help encourage us to make the time for this important ritual. Research studies show that frequent, positive mealtime experiences can lead to better communication among family members, improved performance at school, and enhanced reading levels, as well as better overall nutrition. During meals, parents are able to teach their children how to actively listen and express themselves through conversation. As a result, these mealtime conversations expand children’s vocabulary and increase their reading skills. Equally important is that eating together helps encourage healthy eating habits. Make plans to set aside December 3, 2016 as Dine in Day. This initiative, started three years ago by the American Association of Family and Consumer Sciences (AAFCS) promotes the importance of group meals in fostering family and community relationships, encouraging healthy diets and stretching food dollars. AAFCS cares about family mealtimes and is spreading awareness. Start with minimal distractions. 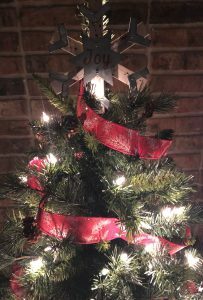 Turn off all devises…televisions, iPads, laptops, and set aside cell phones. If you could be any animal in the world for a day, which animal would it be? Why? What made you happy (or sad) today? Why? Who did you sit next to (or play with) at school today? What did you talk about? Would you like to help plan dinner for tomorrow night? What foods would you like to help cook for dinner? If you could have one day free of all responsibilities what would you do? Remember, eating together matters. Try to create a positive atmosphere before and during meals. Respect and involve every family member giving everyone an equal opportunity to share an opinion without teasing or criticizing. Background music can be a nice addition! 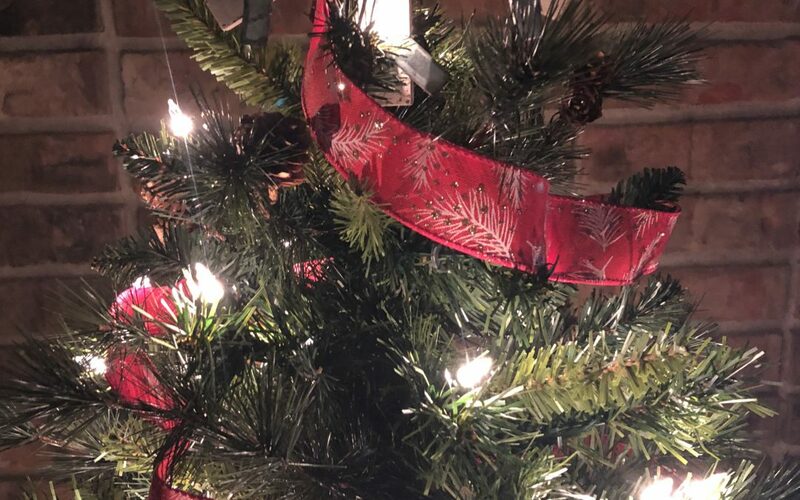 Individuals, families and groups can pledge to dine in December 3 at http://bit.ly/2dPj58G . Diners can also participate on social media by sharing photos and using the hashtags #FCSdayFL and #healthyfamselfie. Build stronger relationships and positively impact your children’s growing values. Don’t wait until special occasions to reap the dining together benefits, dine in now! Lyttle and E. Baugh, The Importance of Family Dinners (FCS2286), Department of Family, Youth and Community Sciences (Archived). Paredes and K. Shelnutt, Raising Healthy Children: The Importance of Family Meals (FCS8925), Department of Family, Youth and Community Sciences (06/2010). Are awake and alert all day, and don’t need a nap during the day. Check with your child’s teacher and make sure your child is able to stay awake and alert during school. In other words, if your child can go to bed, fall asleep easily, wake up easily, and not be tired during the day, then they’re probably getting enough sleep. So, does your school-age child fit this bill? Obviously, the younger the child, generally, the more sleep they require. The amount of sleep required does vary from person to person, regardless of age. Are you aware that sleep deprivation is linked to poorer school outcomes as well as some behavioral and emotional problems? Adequate amounts of sleep for children (and adults, too) lead to healthier outcomes and better productivity. Some simple steps to help your child to establish a better sleep routine is to set a bedtime and a ritual that cues the child that he/she is preparing for bed. Providing the appropriate environment to indicate to the child it is time to sleep is also important. Keeping the mood calm and relaxed can aid in allowing the child to unwind. Other hints include avoiding television one hour prior to bedtime, dim lights about two hours prior to bedtime, and limit or eliminate your child’s consumption of caffeinated beverages, such as soda and tea. The ideal bedroom setting is dark (a night light is ok), comfortably cool, quiet, and with few stuffed animals on the bed. If getting the bedtime ritual established is proving difficult, do not vary your waking times in the mornings, regardless if it is the weekend. Establishing and enforcing the waking time is easier to manage and will lend itself to eventually aiding in the establishment of a solid bedtime ritual. Teenagers and weekends will prove more challenging. But as parents, we are able to discuss sleep habits and the negative effects of sleep deprivation with them to allow them to participate more actively in improving their own sleep habits and become more responsible young adults along the way. Does your child fall asleep in the car almost every time you drive with them? Do you have to wake your child up almost every morning? Does your child seem overtired, cranky, irritable, aggressive, over-emotional, hyperactive, or have trouble thinking during the day? On some nights, does your child “crash” much earlier than their usual bedtime? A “yes” answer to any of the above can be an indication of sleep deprivation according to UMHS. It truly is a health benefit for your child to be well rested every day and this can be achieved with a good sleep routine. 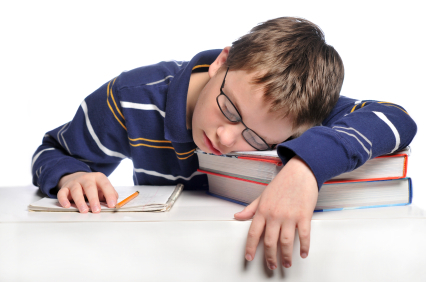 Check out the University of Florida IFAS fact sheet to help address sleep needs for teens. Another great resource is the National Sleep Foundation.